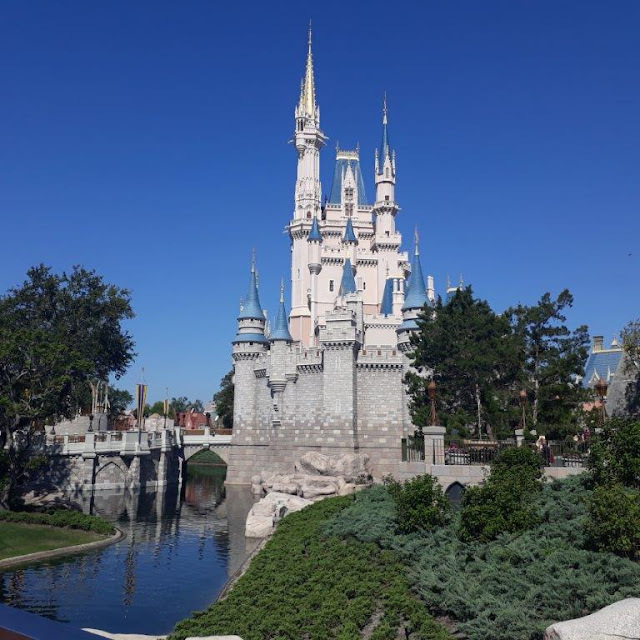 This week we have a Guest review from the Smith Family who did ‘Disneyland in one day’. The Smith family are a family of 4 (Mum, Dad, girl ‘C.S’ 11 years old and a boy ‘O.S’ 6 years old) from Australia who have been to Disneyland Paris, Magic Kingdom Walt Disney World, Tokyo Disneyland, Tokyo DisneySea and Anaheim Disneyland before. The Smith family travelled during October 2017 to Disneyland Anaheim in the lead up to Halloween. Due to time restraints in their travel plans, they only had one day to see Disneyland. Having been to so many parks before, including Anaheim, they knew a few tricks to make the most out of their day. Below is a recount on how they maximised their one day in Disneyland. They also detail how their kids cope with Jet lag travelling from Australia, what strategies they used to get on as many rides as they could in one day, where they stayed and where they ate. How long did you have in Disneyland? We caught the first shuttle from our hotel and arrived as the gates were opening at Disneyland. We bought our tickets at the gate which was no problem as most people had pre-purchased so there were virtually no lines at the ticket booths. We had a 10pm flight and needed to drive ourselves back to LAX, drop the rental car off and be at the airport by 8pm so to allow plenty of time for traffic delays etc we left Disneyland at 5pm. I do normally like Disney in the evenings but we felt like we had seen and done what we wanted to do without feeling rushed. For the record after our day at Disney we all slept the longest we have ever slept on an international flight, including me, who always has trouble sleeping on planes! How close did you stay to Disneyland? Where did you stay? Did you walk? We stayed at the Days Inn Maingate, approximately 1.5km from Disneyland. The hotel had a shuttle which we utilised in the morning but at the end of the day we ended up walking as we left the park at 5pm and the shuttle was at 5:30pm and we ended up getting back quicker walking. It was an easy walk as you just walked straight down South Harbour Boulevard and the hotel was there. I thought the motel was good, nothing fancy but it was clean, quiet and there was a pool and a free breakfast. The shuttle and location was definitely a plus as they allowed us to leave our car parked there for the day after we checked out. This saved us big money on parking fees at the park. What was your strategy around the parks? Did you have favourites that you did first? Which FastPasses did you do? The first hour or so in the park was great as it had just opened for the day. We walked on to the Matterhorn, Space Mountain, the Finding Nemo Submarine Voyage ride and the Autopia race cars with no line ups. Then we alternated between collecting FastPasses and lining up in shorter lined rides while waiting for the FastPass line. For example, we went and collected the FastPass ticket for the Haunted Mansion then waited in line for Pirates of the Caribbean and by the time that finished our FastPass time for the Haunted Mansion was ready. We did the same on Indiana Jones, got the FastPass then went on other rides while we waited. You didn't get a Park Hopper to California Adventure Park. What was your reasoning on this visit? With one day we thought the park hopper would not be worth it as we would lose time going back and forth. We chose Disneyland over California Adventure because we had been there before and thought the familiarity with the rides and layout would allow us to make the most of our time. What are your favourite Magic Kingdom rides? Kids favourites? Rides that were scary for the kids? So many good ones to choose from! My favourite rides are Pirates of the Caribbean, Haunted Mansion and Space Mountain. I really like how at Disney parks there is always a story in each ride it’s not just a “rollercoaster” or a “ride”. My son O.S liked Indiana Jones (which he just made it onto with the minimum height requirement) Splash Mountain and the Matterhorn and my daughter C.S likes Space Mountain and Big Thunder Mountain Railroad (which was unfortunately closed the day we were there.). My kids are daredevils and not too scared by rides. I guess for some kids Space Mountain, Pirates and the Haunted Mansion might be a bit scary. The yeti on the Matterhorn might be a little scary for some kids too. What Disney rides, in your opinion, have the best re-ride value? Haunted Mansion and Pirates of the Caribbean as they can both take a lot of people at once and have a decent length experience. Even a long line is continually moving so it can be quicker, as opposed to something like the Gadget coaster which we lined up for a bout 45 minutes for a ride less than a minute! Did your kids like the Enchanted Tiki room. Did you try the Dole Whip? We didn’t go to the Tiki room, as a family we focus more on rides than the shows if we’re limited for time. Didn’t find Dole whip there but wish I had because we had it at the Dole plantation in Hawaii and LOVED it! Where did you eat? Recommend? The night before we visited Disneyland we ate at the Rainforest Café in Downtown Disney (a large open aired mall just outside the parks that has many restaurants and shops). It was quite pricey but most places in that precinct are. We could’ve waited and sat inside or they offered us to sit on the terrace without a wait. We opted for outside and it was really lovely. There was a band playing down in the square which we listened to and it was a lovely warm night and great atmosphere. In Disneyland the next day we ate inside the park at Café Orleans, which serves creole type food. I had gumbo and cornbread which is a favourite of mine. When visiting Disney or other theme parks we will try and eat before or after the peak times. We ate at around 11am before the lunchtime crowds so it was easy to get through and get a table. Since we had eaten lunch early we got coffee and ice-cream on Mainstreet later in the day. How did your kids cope with Jet lag and long plane trips? My kids are pretty seasoned travellers now and we are quite lucky that they like the entertainment options on the plane. In saying that for my son O.S who is six we still take toys and games to help for when he gets bored of watching movies. As for the plane trip home we coped really well because Disneyland had worn us out so much we all slept most of the way! My kids sleep a lot after a big flight. Depending on the local time of our destination we will try and have a short nap and then wake up and go to be at “normal” time. On this trip it was not a big deal because we hit LA on the way home so were already in the same time zone. When C.S was three however we hit Disneyland a day after arriving from Australia and it was too much….you have never seen such a grumpy kid at Disneyland. Finally got a smile when she got a hug from Winnie the Pooh! Thanks to the Smith Family on detailing on how to get the most of a one day visit to Disneyland. Get to the Park early, have an idea on what rides to go on first, always have a FastPass, eat at 'off peak' meal times and perhaps skip the shows/parades/fireworks if they don’t interest you to make the most of your time in the park (Ride times are also a lot shorter during parades and fireworks). All images on this page ©Smith Family. Great strategies! I did Disney World in one day and feel like I got my money's worth, but your strategies are better than mine (which was "no strategies," LOL). Thanks for sharing! Thanks Beth for your reply. I am glad that you found this blog post helpful.